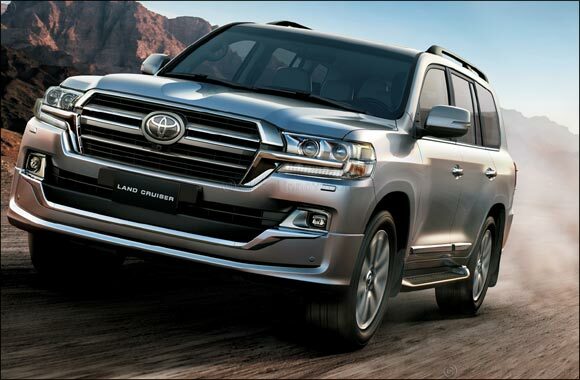 Dubai, United Arab Emirates, September 11, 2018: Al-Futtaim Toyota, leader in sustainable mobility in the UAE since 2008, is bringing back its much anticipated Upgrade campaign on a host of SUVs including the legendary Toyota Land Cruiser, Parado, RAV4, Fortuner and FJ Cruiser. Available across Al-Futtaim Toyota showrooms in the UAE and for the entire month of September, this exclusive campaign allows customers to enjoy either upgraded car models, trims or engine worth up to AED 63,000. As part of the campaign, customers purchasing a new Corolla can choose to drive off with a RAV4 for the same price of the Corolla, while customers planning to purchase a RAV4 have the option to upgrade to a Toyota Fortuner or an FJ Cruiser. Customers looking to buy a Prado VXR can upgrade to the top of the range Prado Limited, while Land Cruiser lovers in the market for the GXR 4.6 now have more than one upgrade option with the possibility to move up all the way to the Land Cruiser VXR 5.7.